A Harrogate businessman who is putting the North of England on the map for interactive software, animation and virtual reality technology is marking his business’s tenth anniversary as one of the leaders in his field. Dominic Lusardi, who is originally from Leeds and now lives in Harrogate, established Animmersion in 2006 and is now planning to double his team in the next two years with the launch of new products as it heads for its projected turnover of £1 million following a successful decade in business. The 3D and computer graphics company was set up by Dominic and his business partner, Sam Harrison from Nottingham, who met whilst studying together for a visualisation degree at Teesside University. 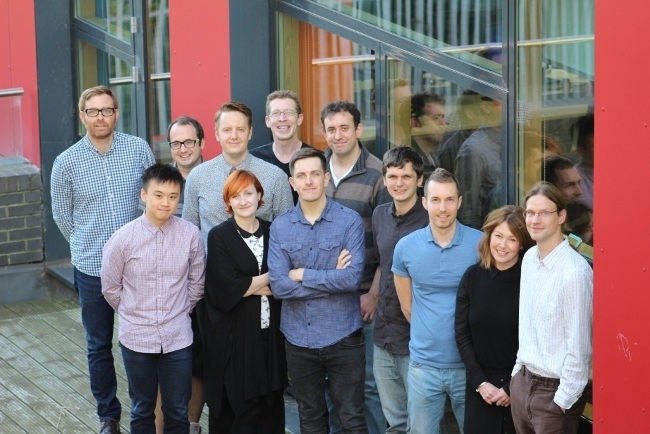 Since being established, Animmersion has enjoyed 50 per cent year-on-year growth and now employs a team of 17 with plans to increase this further in the next year. The company, based at Boho One in Middlesbrough, produces animations and interactives for marketing and training, as well as customer-facing products like interactive manuals for touch screen devices, working all over the world in sectors such as engineering and manufacturing, offshore and subsea, healthcare, retail and the automotive industry. The client base to date includes organisations such as St John’s Ambulance, Schneider Electric, Narec, Tracerco, Vortex Valves, Pearson Engineering, QA WeldTech, Travis Perkins and CrowdVision to name just a few. To celebrate its tenth year in business and their continued growth, Animmersion held a special event which saw over 100 businesses and organisations meet to discuss the future of animation and 3D technology and also business and growth opportunities in the North of England. Speakers included chief operating officer at Teesside University, Malcolm Page, and head of training at St John’s Ambulance, Andrew New. Managing director Dominic Lusardi said: “Animmersion is a non-traditional North of England business and that is something that we really want to celebrate as the region strives to stake its place on the map for emerging sectors such as ours. We’ve proved that we have a sustainable business and we plan to continue to grow, create jobs and expand our client base by forming close partnerships with other regional companies. “Animmersion’s most valuable skill is the ability to visualise complex technical products and services in a clear and informative manner to make technology easier for businesses.